Chapter 230: Supreme Commander is an evil vixen Original and most updated translations are from volare. If read elsewhere, this chapter has been stolen. Please stop supporting theft. If I didn’t know Black Tubby was a cat, Lou Zigui thought, I’d push this girl down and teach her a thorough lesson. What in the world is she saying? “Black Tubby? !” Ning Xiaoyao yelled. “Miaow!” Big Boss Black’s meows came from the flower gardens outside. Ning Xiaoyao gave a lazy stretch. Of course she was in a good mood. After waking up, she remembered that there were no zombies to fight and free breakfasts to eat in this world. Lou Zigui personally picked up the comb to brushed Ning Xiaoyao’s hair into a bun. Besides his young nephew Lou Nan, she was the only person he’d wait on this way. “Supreme Commander, the empress, she---” Ning Xiaoyao suddenly stopped when she saw Lou Zigui’s reflection in the mirror. “Nothing,” Ning Xiaoyao dug out a sugar bean and tossed it in her mouth. Let’s take car of the battle stuff first. It’s not like the empress will come along trying to kill me today. “.....” said Lou Zigui. You haven’t even eaten breakfast yet but you’re already thinking about lunch. One hour later, Ning Xiaoyao brought the civil and military officials to the gates of the capital, along with the capital’s denizens, to send off Tao Yu and Prince Fu on their journey. Prince Fu didn’t want to talk to her. With Tao Yu, it’s ‘you can definitely do it,’ but with me it’s ‘you have to survive?’ Am I that useless? “What’s with your attitude?” Ning Xiaoyao asked as Prince Fu rolled his eyes at her. For the sake of saving Prince Fu’s face, everyone around Ning Xiaoyao simply pretended they hadn’t heard her words at all. Prince Fu himself glared at her but found himself unable to retort. It was true---he wasn’t fit for the battlefields. Prince Fu immediately looked towards the astrologers. “.....” went the astrologers. What’s the use of glaring at us when you can’t beat His Majesty in a verbal spar? Tao Yu’s eyes turned a little misty as he nodded in assent. “The auspicious hour is here!” Prince Fu shouted. [email protected]#!!*123(#! )$, I can’t listen to this anymore. The difference between us is too big, this prince just can’t take it. 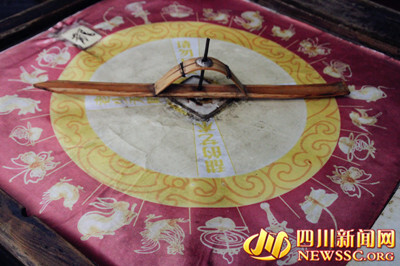 “Your Majesty,” the head astrologer wanted to tell Ning Xiaoyao that Prince Fu was wrong. “Alright then, set out!” Ning Xiaoyao waved a hand. Hearing this, the person in charge of setting off the cannons quickly lit the fuse and allow three successive booms to ring out loudly in the air. After that, the soldiers began to shout their war chant. Tao Yu once more fell to his knees and kowtowed three times to Ning Xiaoyao. Meanwhile, the head astrologer decided to keep his mouth shut. Auspicious hour or not, it doesn’t even matter in His Majesty’s eyes! The scores of soldiers all chorused back with ‘ten thousand blessings’ to His Majesty. Someone, Xie Anji found this moments to sit up from the carriage in which he’d been confined. He knocked open the shuttered windows and stuck half his body out. One of Prince Fu’s guards saw this and quickly started to push him back inside. A wine cup flew straight into Xie Anji’s face, knocking him back inside the carriage. All of Prince Fu’s guards turned as one towards the force. Which heroic figure threw a cup at the Grand Preceptor’s son right in his face? “Grand Preceptor?” one of the Grand Preceptor’s faction asked for his opinion. If we’re going to save Xie Anji, we’ll have to stop the generals themselves. Grand Preceptor Xie only shook his head slightly. His son would be fine. “Where does Your Majesty want to go?” Lou Zigui asked. Shadowgale was currently shooting Lou Zigui an antagonistic look. We’ve just sent off the army to suppress the bandits and now he’s taking His Majesty to play in the streets? Is this the time for that? Does this man want to corrupt His Majesty? “Supreme Commander, where do you say we should go?” Ning Xiaoyao defaulted to him again. Shadowgale’s gaze on Lou Zigui turned even more unkind. “Evil vixen!” he cursed under his breath. “........” Hearing their big bro curse, the other Dragon Guards could only remain speechless. So men can be ‘evil vixens’ too? “Yes,” Shadowgale braced himself as he nodded. “Is now the time for that?” Elder Li asked. “Elder, it was Supreme Commander’s suggestion,” Shadowgale immediately pushed all the blame onto Lou Zigui. In any case, His Majesty’s definitely a wise and brilliant ruler! Elder Li looked at Shadowgale. “His Majesty has been tired these days, too,” Shadowgale said. Shadowgale didn’t say a word. He would never speak up for a man who was trying to corrupt His Majesty. Currently, Ning Xiaoyao was standing in the lane, watching a street vendor make sugar figurines. She cradled two bags of snacks in her hands while her mouth was stuffed with goodies that made her cheeks puff up. Even so, Ning Xiaoyao tried to speak to Lou Zigui. “Then I want the qilin!” Ning Xiaoyao shouted, nearly spitting out her mouthful of snacks. Lou Zigui nodded and lightly pushed the needle on the wheel of goodies available for making into candy. Both Ning Xiaoyao and the Dragon Guards held their breath as they watched it spin around the circle. As it gradually slowed down, Ning Xiaoyao stared fixedly while it went past Rat, Peach, Basket of Flowers, Monkey, Face Mask, and past Qilin before going another circle. “It has to be the qilin, ah!” Ning Xiaoyao exclaimed. Now Lou Zigui was getting a little nervous. It was almost as if he’d let Ning Xiaoyao down if he didn’t get her chosen animal. The needle slowly approached the qilin again before stopping just short of it. (⊙_⊙ ;), went the Dragon Guards. It’s over. If it’s not a qilin, will His Majesty cry?! “Achoo!” Ning Xiaoyao took this chance to sneeze at the wheel, causing the needle to move forward two spaces until it stopped on the qilin. “It’s the qilin!” she cheered. “If it moves after stopping again, it doesn’t count,” the peddler shot back immediately. The peddler was utterly floored. You can even do things like this?! Just for fun, here's a video of how a vendor makes spun sugar dragon candy!